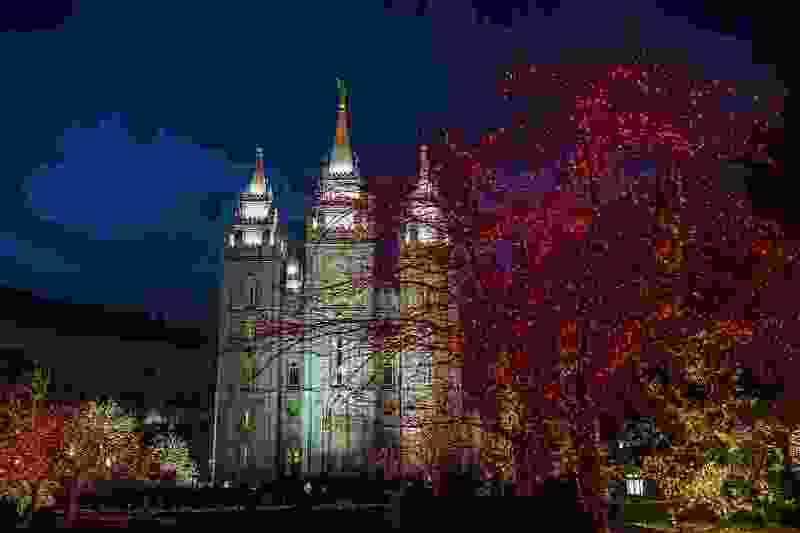 (Chris Detrick | The Salt Lake Tribune) Visitors look at Christmas lights on Temple Square Friday, Nov. 24, 2017. SNAP was responding to the question of whether it is appropriate, especially amid today’s torrent of revelations about sexual harassment and misconduct, for Mormon bishops, who are always male, to interview children privately. Some wonder whether the approach itself — even at its most benign — might be a form of harassment. SNAP saluted Young for his efforts.